Read our full 2015 Acura TLX V6 SH-AWD review. 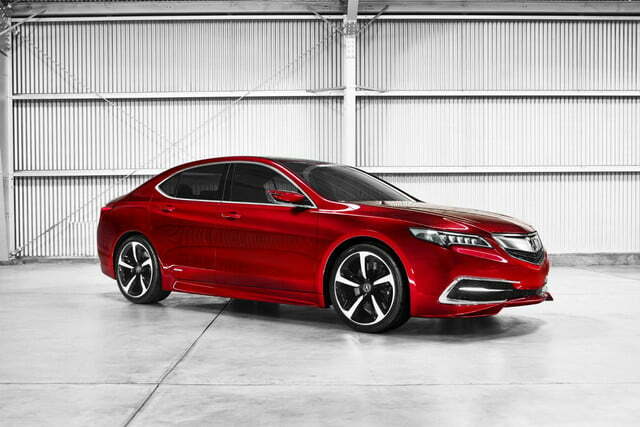 The 2015 Acura TLX is here a bit early and – ooooh it’s shiny! Technically the car just debuted at the Detroit Auto Show is a prototype, not the real production model, but it already looks better than most of what is on the road. Acura says that the new TLX was inspired by the phrase “red carpet athlete”, which, translated from marketing speak to something an actual human being might say, means that this car is a hybrid between a luxury and sports sedan. 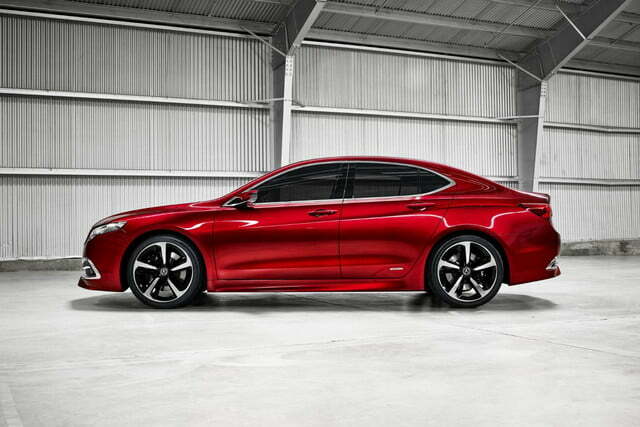 Acura has always done this particular combination well, and it looks like the new TLX will continue that tradition. Slotted between the RLX and the ILX the new Acura will be almost be almost four inches shorter than the TL its replacing. 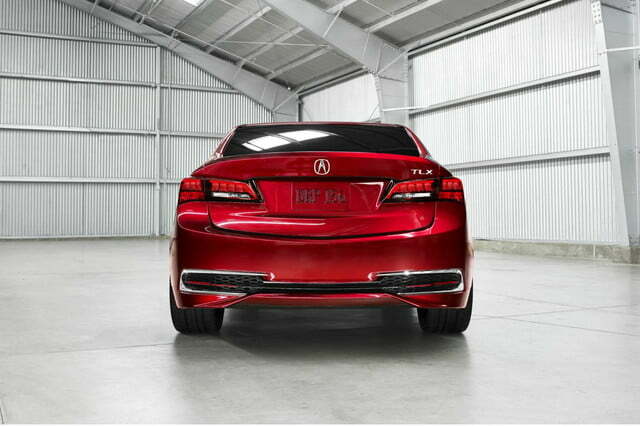 That’s good news for when you want to get the power down in the corners, because the TLX maintains the same wheelbase. And that makes for nippier handling. The car comes in either front or all-wheel drive configurations. Normally we don’t consider front-wheel drive very fun, but in this case you get Acura’s Precision-All Wheel Steer (P-AWS). That should help this car corner as precisely as a cat going after a mouse. 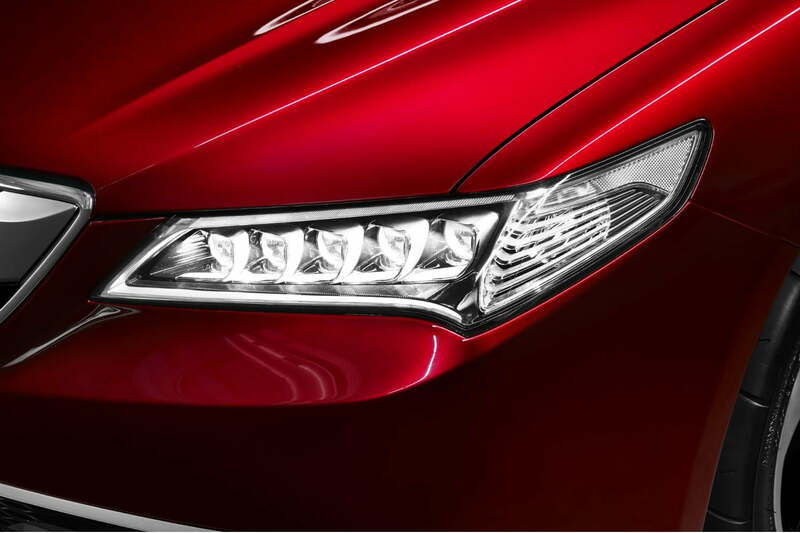 With front-wheel drive you can get either Acura’s 2.4-lite i-VTEC four cylinder, or the beefier 3.6-liter V6. But don’t worry; you can get plenty more acronyms with that. 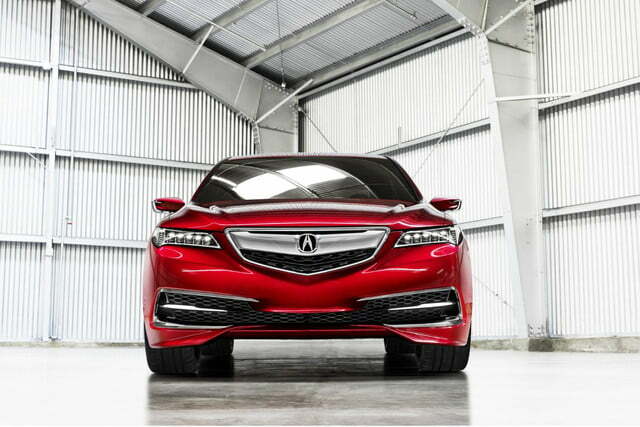 The 2.4-liter comes with Acura’s all new eight-speed dual clutch DCT transmission. Paired with the high-revving i-VTEC engine, this should deliver both solid economy and opportunities to pretend that you are a racing driver. But if you are really focused on the athlete part of “red carpet athlete”, let’s take a look at the Super-Handling All Wheel Drive (SH-AWD) version. In this top-end TLX, not only do you get Acura’s all-wheel drive system of many letters, you get the 3.6 liter V6 as standard and a nine-speed transmission. NINE SPEEDS! That’s as many as my first three cars put together! Acura hasn’t released power figures for the engines in this car, but expect a jump of 10-20 horsepower over the 305 hp you got from the TL. In terms of looks, the TLX is definitely a step up from the TL. The silhouette seems to be cribbed from the Tesla Model S, and that is not a bad thing. There are also far more details in this design than we have grown accustomed to from Acura. Even if you don’t love things like the compound curves over the rear wheels, and I do, you have to admit that they are at least interesting. My favorite details though are the wheels, the new rims not only look great but they really set off the proportions. Besides, they look like the rims on the Volvo S60, one of my favorite sedans … I know, I am a weirdo. 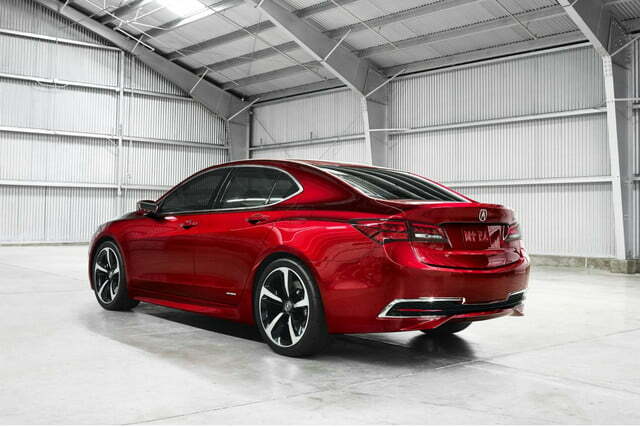 About the only bad thing I can say about the TLX’s looks is that I am still not a fan of the chrome beak. It’s not as pronounced as it used to be, but I still don’t especially want my car looking like a bling-y parrot. 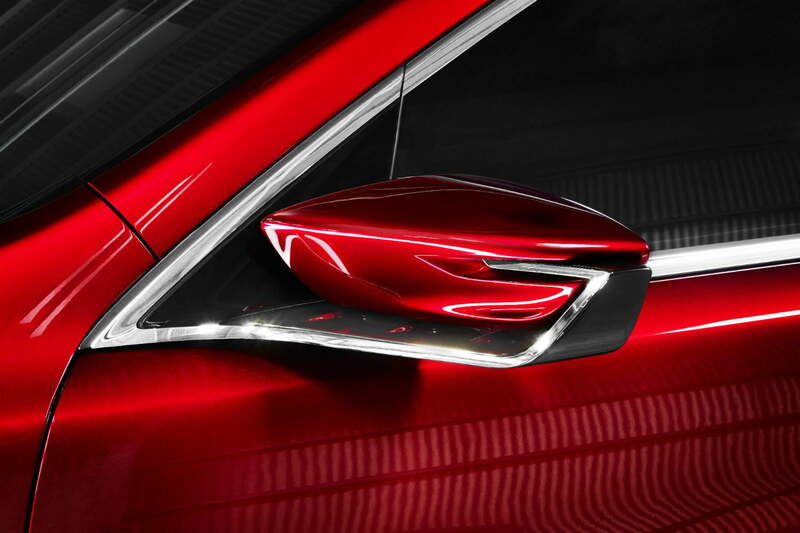 We will report on details of the new TLX as they emerge, but it does look as though Acura has upped its game in the never ending luxury sedan arms race.